Every girl loves a bit of Chanel, right? For me their brand just signals luxury, quality products, albeit with a price tag to match. 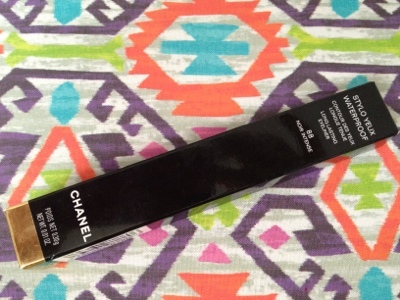 The Chanel stylo yeux waterproof liner has long been one of my holy grail items. 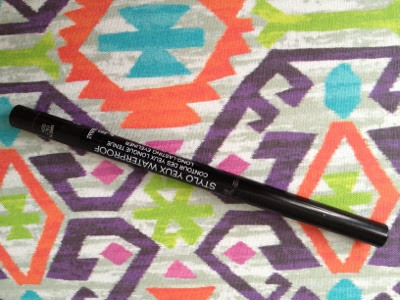 A twist up eye pencil, they never need sharpening, go on smoothly, and last all day. Whilst they come in a variety of colours (the turquoise is nice for the summer), my favourite is black. When going to repurchase a little while back, I was informed by the sales assistant that they’d launched a new, more intense black. I’m not sure there’s much of a difference between the regular black (no.10) and intense black (no.88), but I love it regardless. I use mine every day on my waterline and very rarely need to reapply throughout the day. If you do want to sharpen the liner back into a point, they’ve built a handy mini sharpener in the base of the pencil that you can pull out and use. The only thing I find slightly misleading is the use of the word ‘waterproof’. Don’t get me wrong, these will last a lot longer than your regular liner if you shed a few tears, but do not think you can jump in a swimming pool wearing this and survive without serious panda eyes (been there). ‘Water-resistant’ is definitely more accurate. These retail at £19, which isn’t cheap, however I use mine every day and it still lasts a good 6-8 months. I would repurchase this again and again without a second thought. I have never tried any of the Chanel eye products, would love to give some a try. I do love the and have tried them but I think that Bourjois black kohl pencil is cheaper and the same quality! I might have to give that one a go! 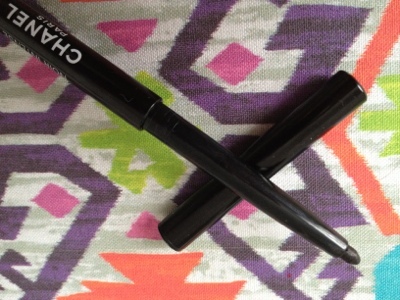 It sounds like a brilliant eye liner and youre has lasted a long time for the price!